The Mokia Community Association has gone online with a fantastic digital digital presence. 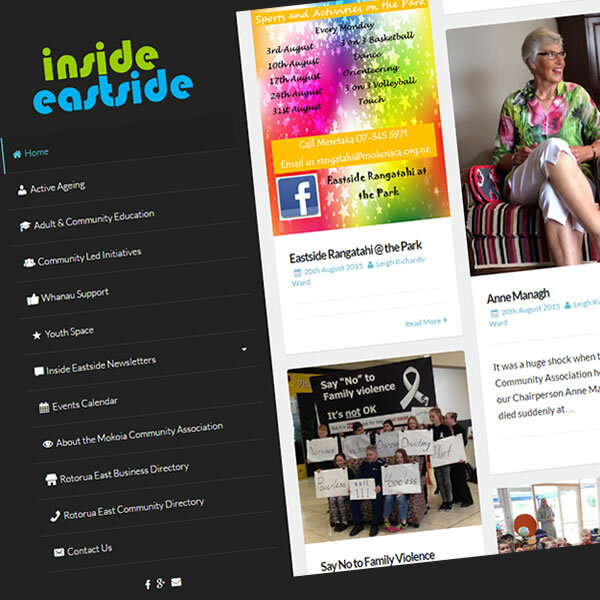 1st September 2015 saw the launch of www.insideeastside.org.nz, a digital focus for the community of the Rotorua Eastern Suburbs. Make sure you visit the website or pop on through to our portfolio page for an overview of how we tackled this awesome project.